Holland, Michigan(November 13, 2018) – Quality Car Wash’s Mandi Brower was named the 2018 Small Business Person of the Year by the Michigan West Coast Chamber of Commerce. 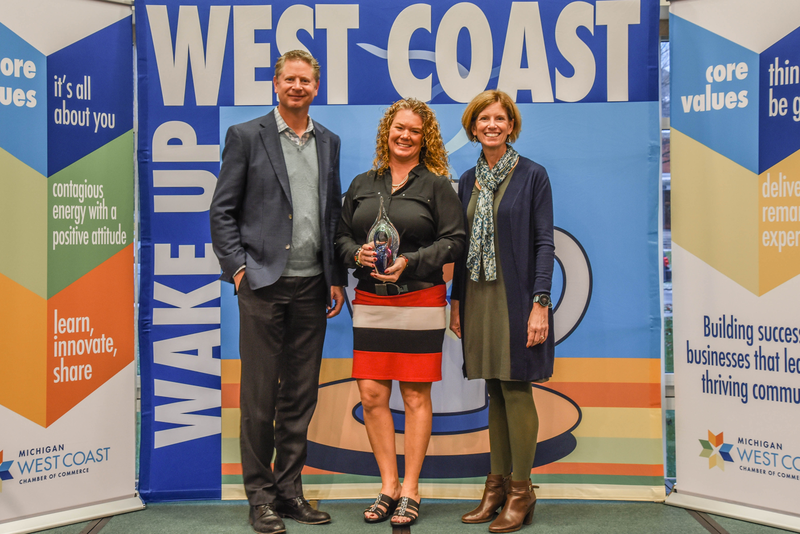 Brower accepted the award at the November 13th Wake Up West Coast Breakfast, held at the Haworth Inn and Conference Center. Established in 1969 by her grandfather and great uncle, Quality Car Wash is now lead by Chief Operating Officer Mandi Brower. With a Bachelor’s Degree in Accounting from Davenport, she began her professional career in the high performance boating industry, and learned about the manufacturing process, building teams and working with departments. At the request of her father, Mandi joined the Quality team in 2005, and has built a company culture focused on teamwork, exceptional service and innovation. Quality serves the lakeshore with 7 locations that offer convenience store items, gasoline, coffee shops, and their world-famous car washes. In the last 5 years, Mandi led the movement for expansion that more than quadrupled their workforce, bringing the employee count to over 250 West Michigan team members. The company opened new sites in Muskegon, Holland, and Grandville, transformed others, added Tim Horton’s Franchises. Focusing on integrating new technology into the wash experience and buildings has improved operations and customer experiences. The largest new facility is on the corner of Chicago Drive & Waverly. After owning the property for 18 years, the company spent two years designing the location and with three generations of family involved. Washing over 400,000 cars in the first year of business, this new location has become one of the top volume car washes in the world. It has been recognized by magazines and elite industry professionals worldwide, further demonstrating the company’s success in innovation and technology. As a family-owned business, Quality Car Wash defies the odds of success by growing and thriving into the 3rdgeneration of owners. Only 12% of family-owned businesses survive that long. Quality makes a point of giving back to the community through programs such as Helping Hands, Wash with a Mission, car was donations, and Mission of the Month. The company received the Michigan’s Best and Brightest award in 2018, was recognized with the West Coast Chamber’s Business Leadership Award in 2016, and has been recognized by the Holland Public Safety Department for their partnership in contributing to the community. Mandi serves on the West Coast Chamber Board, is on the steering committee for the Family-Owned Business affinity group, and is part of the 2018/19 West Coast Leadership class. 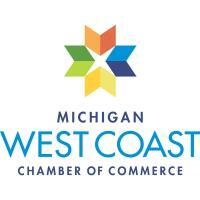 The Michigan West Coast Chamber of Commerce is the unified voice and leading advocate for over 1,200 businesses representing 60,000 employees in the greater Holland/Zeeland area. The Chamber represents a broad segment of the business community; our role is to be a leader in and partner to the business community and the community at large. The West Coast Chamber is proud to be recognized among the top 1% of Chambers nationwide, and was recently named the 2018 Outstanding Chamber of the Year for the state of Michigan.